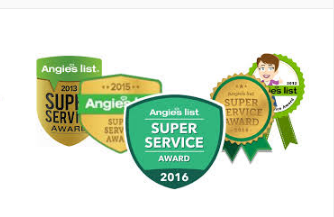 Winner of Angie’s List Super Service Awards 5 Consecutive Years! 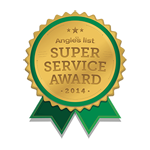 “I contacted Duane about a misting system around my large patio and fogging around my pool. I met with Duane towards the end of our pool construction but prior to our landscaping being installed. Duane provided me options for missing and fogging but recommended that while the landscapers were installing the landscape to have conduit installed near our pool equipment so that misting lines could be pushed through the conduit when I decided what we wanted (just misting, fogging or both) without disruption to the landscape. Additionally, he recognized that the pool equipment panel was capable of supporting the power needs for the misting pump and noted that we should have a water supply line installed as well to the pool equipment. Shortly after our on-site visit Duane submitting a detailed quote of all components, units, prices per unit and extended cost as well options for the pump motor. Duane was very helpful in telling me that the pump required a 230 V outlet. He was very helpful in providing me the equipment specifications so I could arrange with the pool electrician to install the correct outlet. Duane’s advice could not have been more perfect as I was able to easily have my landscaper add PVC conduit to fish the flexible misting line through and add the water supply near the pool equipment. I was able to have the pool company electrician install the appropriate outlet at the pool panel and set it up such that the pool panel controls the on/off of the misting system. Most importantly Duane kept me up to date on progress of the pump build and when he would likely install the misting system. I can’t stress how great his responsiveness was throughout. Aside from periodic updates Duane always promptly returned calls, e-mails or texts from me. The installation of the misting and fogging system took a long day to complete – it was a large installation. Their installation was very clean and professional. Areas where they installed the stainless tubing to the home was done such that lines were level and installed without damage to the home or stucco exterior including accommodating for my rain gutter downspouts. Upon start up of the system I was immediately impressed at it’s coverage. I had noticed that although the pump was quiet I wanted it quieter. I asked if I could get an enclosed pump, Duane accommodated my request noting extra time to have the pump enclosed and the added cost. It only took about 8 business days. Duane checked in with me for my availability and we worked out a time for him to drop off the new pump. At that time he installed the pump, ran the system, checked for any adjustments that were required and we used it this evening….. we love love it and it’s equivalent to the misting systems you encounter at restaurants or other businesses across the valley.